Here are some of the most common questions we get about Winspire and what we do. What are “No Risk Auction Items”? The best way to explain it is: It's free to use our services. There are no sign up fees, no usage fees and you only purchase something if it sells. A transaction with Winspire doesn't take place until after your event and only for Experiences that sell above their reserve minimum, which you establish for each package. The reserve price you set determines the minimum amount you want to make on each package. We usually recommend a reserve minimum of 20% over the Nonprofit Cost. What is the Nonprofit Cost? Prior to the event, our Experiences cost nothing. The Nonprofit cost only matters after your bidders have surpassed the amount set by you and your Event Consultant. The cost itself, also known as the package price, includes everything that makes the Experience perfect, including the cost of the package itself, marketing materials for promoting it at your event, our cost for putting the Experience together and the team of travel professionals we have on hand for each and every Winning Bidder. How do you determine the Suggested Retail Value for each Experience? Because of the constantly fluctuating prices of travel, we have found the most consistent way to value our items is to use tariff rates for airfare, rack rates for hotel rooms and brochure rates for cruises. These are the highest values for which the room or airfare could be booked. Other components are valued individually and the total value is calculated. If any component of an item is not readily accessible or available to the public, the package is valued as priceless. This pricing method allows Winspire to offer the most flexible travel options to ensure the best Winning Bidder experience. Your Suitcase is sort-of like your cart, where you put the Experiences you are considering, collaborate with your peers and work with your Winspire Event Consultant to decide on the best set of packages for your charity auction. Once you have finalized your selection, simply click "Reserve Experiences" to reserve the Experiences for your event. When will Winspire price match? Winspire will match the price of any qualifying experience that is offered for less through a competitor. Proof of competitor price must be available through a publicly accessible website, advertisement or catalog. What if package is similar and not identical? We will match the pricing of any package that has a similar scope with regard to the Experience, Accomodations and Travel of an existing package. If the package is too different or is determined to not be of enough value to sell at an auction, Winspire reserves the right to decline a price match request. What if package has same number of room nights but a different hotel? The most common match that we will offer is to match the number of room nights or the certificate level of the accommodations (3 star vs 4 star hotel). However, if we feel that modifying the accommodations will be detrimental to the package's ability to sell, we may advise against matching a package price. Will you price match a competitor's package that is not listed in the Winspire Catalog? We will try! Our product development team will review each price match request to determine if it is within our capabilities to create a custom package that will match or beat the competitor's price. Do you offer Experiences with no airfare? Absolutely. You can reserve almost any of our Experiences without the airfare component, though we don’t often recommend it because packages with no airfare usually garner less interest. How many people can Winspire Experiences accommodate? The majority of these nonprofit auction packages are for 2 people but we do have some auction travel packages for 4, 6 or 10 people. We even have larger villas and homes that accommodate more than that. In all cases, the text states the quantities of all components of the package. May I suggest trips you don't have? Absolutely! We are always looking to improve our selection of items and we welcome your input! Submit your recommendation on our Contact Us page. Very few. Our airline and/or hotel partners may on occasion have black-out dates, and we advise you of these dates in advance. Any additional fees passengers must pay? The only additional passenger fees are airfare related taxes and an airline ticketing fee. All other taxes and fees are included in the original cost of the trip package. As with any travel booking, incidentals during the trip will be the responsibility of the winner. What is a Luxury Property? Luxury Properties are discounted hotel stays at 140+ luxury hotels and resorts around the world. Are Luxury Properties no risk? Just like our Signature Experiences, if a Luxury Property item sells in your silent auction, you collect everything above the Nonprofit Cost. If the item doesn't receive any bids, you don't pay a dime. With each property, we provide the display materials along with a recommended starting bid (15% over the Nonprofit Cost) and Bid Increment. If anyone places a bid at the event, you are guaranteed to make money. How do I reserve a Luxury Property? What is the difference between Signature Experiences and Luxury Properties? Unlike Signature Experiences (which typically bundle lodging, airfare and a unique Experience), Luxury Properties are hotel stays only. The lower price point makes Luxury Properties an ideal addition to silent auction tables. Which Experiences should I select for my event? Your Winspire Event Consultant will help you select Experiences that best fit your event type and the demographics of your attendees. Between your knowledge of the event, donor base, and objectives, and Winspire’s extensive experience with Nonprofit fundraisers, together we will be able to determine the best mix of auction items to maximize fundraising revenue. How much should we sell the Experiences for? We recommend setting the minimum at least 20% above your cost, but most Experiences end up selling for 30-50% above the Winspire package price. Remember to start the bidding well below this target so you can build momentum and competition among bidders. Can we sell Experiences more than once? Absolutely! We have multiple quantities of every Experience we offer. If you have two bidders trying to out bid each other, wait for one of them to jump out, then stop the bidding and sell the Experience to both bidders. You will have two happy Winning Bidders and twice the amount of money raised! You can even sell Experiences after your event to donors who couldn’t make it or didn’t get a chance to bid. How much notice do you need before the event to reserve an Experience for auction? Essentially none. While it's best to give yourself some lead time, all of our packages are available on a moment’s notice. You can reserve any Experience, or add to those you’ve already selected, through the website at any time leading up to your fundraising event. Each Winspire Experience comes with a package display PDF for you to use in your fundraising event. Each 8.5 x 11 PDF is produced using high quality photos and graphics, allowing you to enlarge them to poster sizes without losing image quality. Click here for directions and pricing on printing poster-sized package display PDFs at your nearest FedEx Office. In addition to the package display PDF, we provide a full package description with all the Experience details as well as some additional images for you to use for your own marketing materials or presentations. Do you have additional images of the Experiences? Yes, we have multiple images of each Experience that come with the promotional materials we send you before your event. Depending on the Experience, we can provide additional images and even videos upon request. 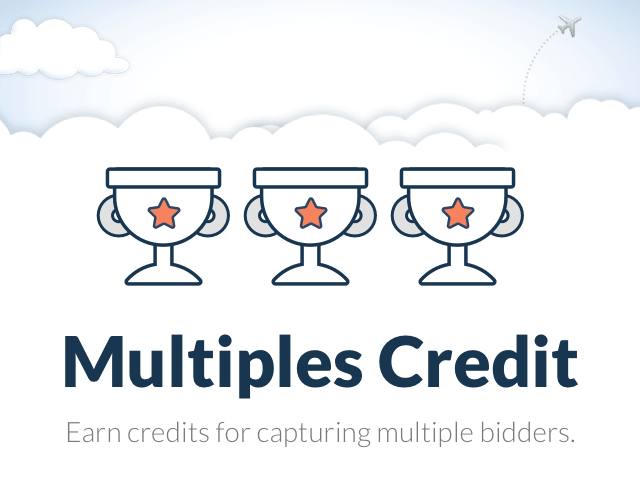 What is the Winspire Multiples Credit? When you sell three or more of the same Experience in one event, you will receive a credit to use toward your next event. Here's how much you can earn. If you sell more than one Experience 3 or more times, the total credit amount is cumulative. How do I view my credits? After your event ends, request an invoice for the packages sold. 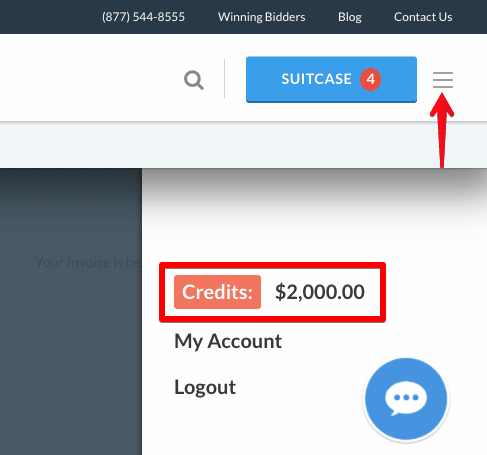 Once you submit an order for 3 or more of any Experience, the credit is automatically applied and viewable in your Suitcase. How do I redeem the credits? The total credit amount will automatically be deducted from the invoice of your next event. Any remaining credit balance will carry over for future use. Please note the credit must be used within 13 months of the event in which Experiences were sold. Additionally, the credit may not be applied towards Luxury Properties, our hotel-only items designed for silent auction tables. What should we give Winning Bidders at the event? We supply a sample letter for you to award your Winning Bidder congratulating them on the exciting Winspire Experience they just purchased and thanking them for their donation and support. We also recommend including your contact information as well as a copy of the full package description so they have a record of what they have won. They will receive Booking Vouchers once the Experiences have been paid for. The Booking Voucher is what the Winning Bidder needs in order to redeem their Experience. Only after Winspire has received payment for all the Experiences sold at your event will Booking Vouchers become available. Once payment is received, the vouchers will appear in your Suitcase where you will be able to send them directly to your Winning Bidders. Vouchers arrive in your Winning Bidder’s email inbox with a Trip Booking Identification # and directions on how to redeem their Experience. We provide you with a default “Thank you” message, but you can easily replace it with a message of your own before sending. Click here for a preview of the Booking Voucher. How soon after the event can Winning Bidders book their Experience? A Booking Voucher will become available within 1 week of receiving payment from your Nonprofit. The Winning Bidder’s name and email address is also required to be able to deliver the voucher. Once a Winning Bidder receives their Booking Voucher, they can immediately begin the redemption process. Our experiences do need to be booked at least 60 days prior to the requested travel date. How long are trips valid? Most of our Experiences are valid for at least one year from the event date as stated in the full package description. How do Winning Bidders redeem their Experiences? All of our Experiences include a Winspire Booking & Concierge Service. Winning Bidders simply follow the redemption process directions outlined on the Booking Voucher and one our travel professionals will take it from there, handling reservations and booking the Experience from start to finish. What is the Winspire Booking & Concierge Service? Winspire provides a team of seasoned travel professionals that will help you redeem your once-in-a-lifetime Experience. We take care of all travel related details, handling reservations for every part of your Winspire trip. We operate as a full-service travel agency, able to assist with additional hotel nights, airfare upgrades, or adding extra people to your Experience. In addition, our Concierge Service gives you an established network of onsite contacts for each Experience who can help you book additional excursions, activities and sightseeing tours. Can my Winning Bidder change details of the Experience after the event? Of course! Our team of travel professionals acts as a fully functional travel agency, able to accommodate requests from the Winning Bidder. We can upgrade air and rooms (depending on the property), add additional nights and flights, and even book excursions and sightseeing tours. I won a trip at a recent fundraising event, how do I book it? You will receive an email voucher from the non-profit you purchased the trip from with a unique trip ID number and link to our redemption site. If you do not yet have an email voucher we recommend you first follow-up with the non-profit. If you need further assistance feel free to contact our office. I have my voucher, how to I begin the booking process? The first step in getting the booking process started is to submit your information and date request on the redemption site. Please CLICK HERE to submit your request. How does the booking process work once I submit my information? One of our booking agents will be assigned your trip and personally contact you within the next 7 days. Availability will be checked and reservations held for your requested dates (turn-around time varies by trip / experience). Can you check availability for me before I submit my information on the redemption site? We do require you to complete the redemption form before we can check availability. Because we have special partnerships with many of our travels vendors, the turn-around time to check availability can vary. Do I have to provide my credit card information? Yes, your credit card information will only be used to hold your hotel reservations. Any other charges that you may be responsible for (such as airfare taxes) will not be charged until we have your approval. Does my trip have an expiration date? Your trip must be redeemed within one year from the non-profit event date when it was purchased. Travel may take place beyond the one year mark as long as the trip is redeemed within one year. Can I add extra nights to the trip? Yes, our agents can assist with this during the booking process. Please include specific details for your request in the “comments” section when completing the redemption form. Can I bring additional people on the trip? Yes, with a majority of our trips and experiences additional people can be added. Our agents can assist with this during the booking process. Please include specific details for your request in the “comments” section when completing the redemption form.